1. Ocean’s 8 follows a group of criminals as they attempt to steal an expensive necklace at the Met Gala before heading to a GameStop in Queens to rob it of all its copies of Deal Or No Deal for Nintendo DS. 2. The film was entirely funded by ADT, which is why the heist is easily thwarted by a standard ADT home security system 10 minutes into the movie. The remaining 90 minutes of the film depict the heist crew in jail giving it up for ADT’s remarkable security technology. 3. The movie’s feminist message aims to prove that women can do anything that men can do, as long as it’s many years after the men did it and they’ve added a fashion element. 4. As part of her rigorous preparation for the role of nefarious thief Debbie Ocean, Sandra Bullock threw her morals to the wind, sold off her honesty at fire-sale prices, and let the ravenous crows of temptation eat whatever scraps of decency were left. 5. 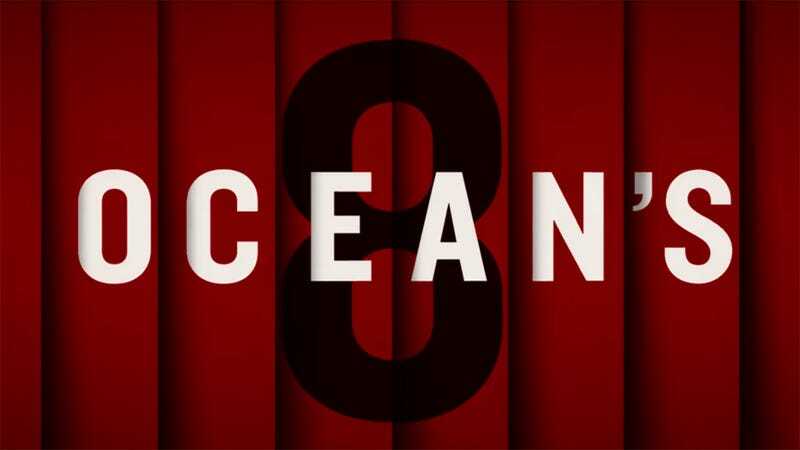 Ocean’s 8 is being released on June 8 instead of August 8 because there’s such a thing as overdoing it when it comes to making forced references to the number eight. 6. The film features numerous celebrity cameos including Serena Williams, Zayn Malik, Richard Armitage, Kim Kardashian, Ayesha Gaddafi, Saif al-Islam Gaddafi, Al-Saadi Gaddafi, Mutassim-Billah Gaddafi, Hannibal Muammar Gaddafi, Kylie Jenner, and many more. 7. The film’s producers faced criticism after leaked documents showed that Sandra Bullock was given only 73 percent of the quirky accomplices that George Clooney received for similar heists.